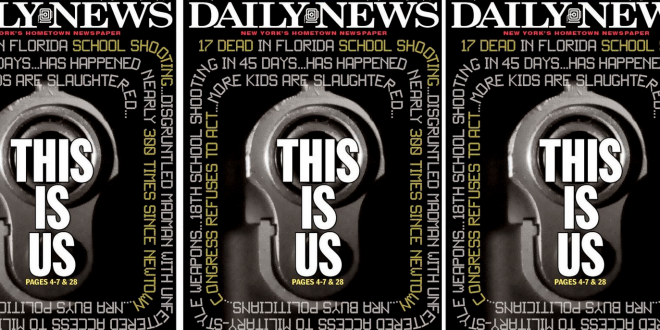 New York Daily News On Shootings: This Is Now Us - Joe.My.God. More than a dozen shot dead in a South Florida high school on Wednesday. 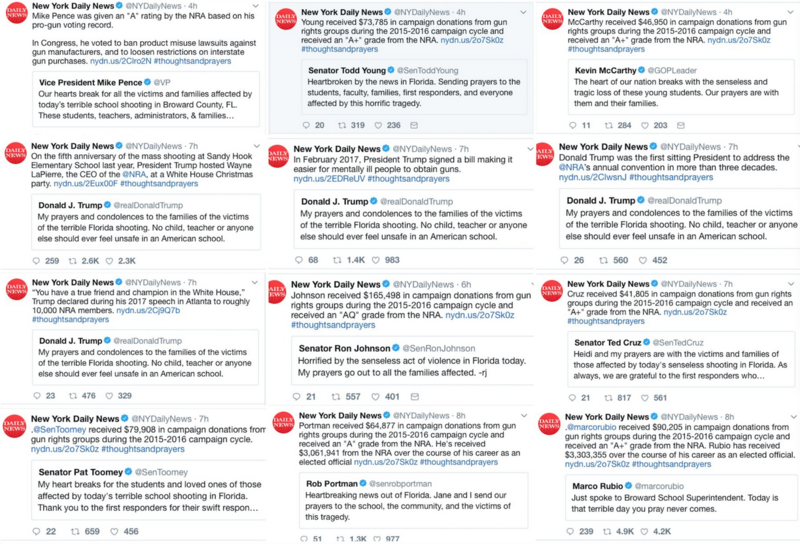 Many more wounded by the gunman. Mourn though we do, mourn though we must, it is time to admit a painful fact: As a nation, we do not care. If we cared, we would make at least an honest effort to fight the corrosive culture of violence that infects so many of us. To attack mental illness as the scourge it is. Most of all, we would try to change laws that, based on a delusional and suicidal interpretation of the Second Amendment to the Constitution, let anyone wield the power to kill in bunches. In the real world, where we don’t care, the horror stories and the pictures of the dead and wounded will sear our minds and hurt our hearts for a short time. Then we’ll get ready to do this all over again soon enough.